I am about halfway through the first step of restoring and refinishing our hardwood floors from 1950 and have already learned a lot! 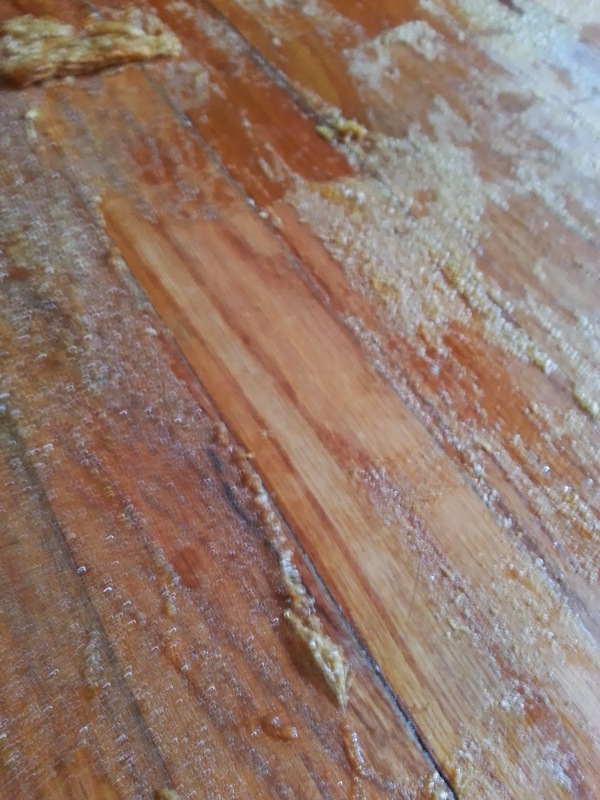 The product used to take the polyurethane/varnish off the floor matters. Not all stripping agents are alike. In fact, I have found they are EXTREMELY different in how effective they are. We used 3M Safest Stripper, Back to Nature Ready Strip, Citristrip Stripping Gel, and Zinsser StripFast. I set up a side by side comparison, but the results were so disappointing I am not going to share it. Two of these products didn't even begin to loosen the finish and one didn't work very well. The fourth product is amazing. It works the quickest and by far most effective. 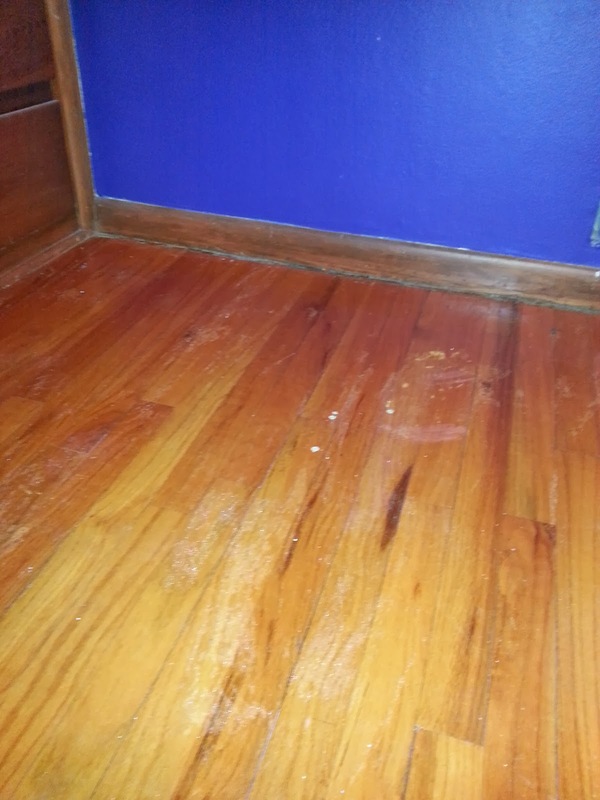 After using the Zinsser StripFast, the finish started to loosen. It worked okay, but it was not worth the time putting it on. 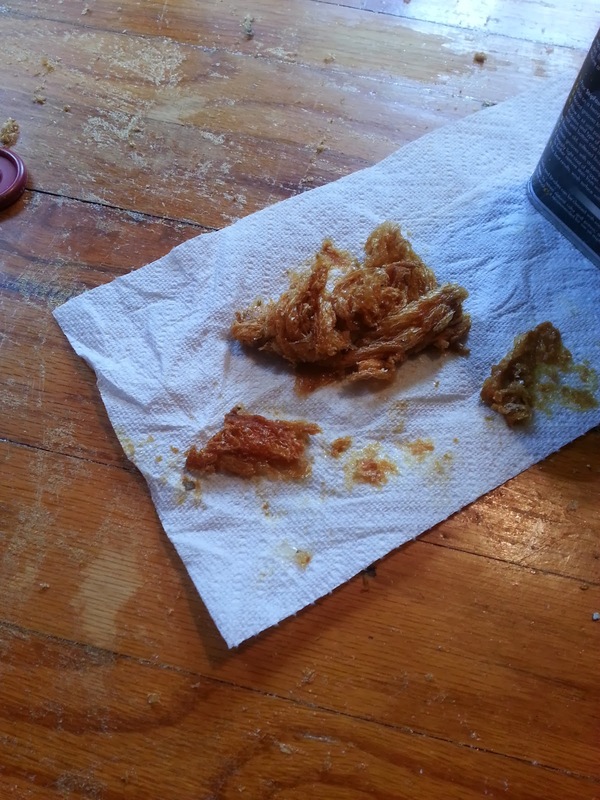 Also, the goo (look and felt like snot) had to be applied extremely thick to get results. The fumes from this product is why it took so long for us to start the project. We had to have the windows open and it was still too much. I didn't feel that it was safe to use, especially since it didn't work very well. This is what the wood looks like underneath! Bye bye yellow, old polyurethane!!! With our health on my mind, I went looking for a better product. 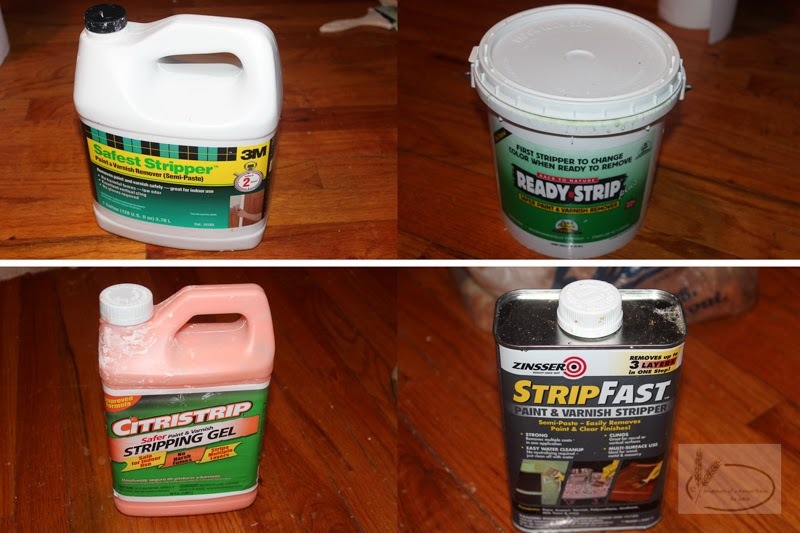 Back to Nature Ready Strip and 3M Safest Stripper claimed to have zero harmful fumes and work well. I knew I would need two containers of either product and there was only one of the shelf, so I bought both. After a few trys and 24 hours, we determined that the products weren't doing anything. ZERO!!!! I happened to see another option as I was choosing between products. It was called Citristrip. To be honest I thought it wouldn't work at all and was a waste of money, but I decided anything was worth a try. 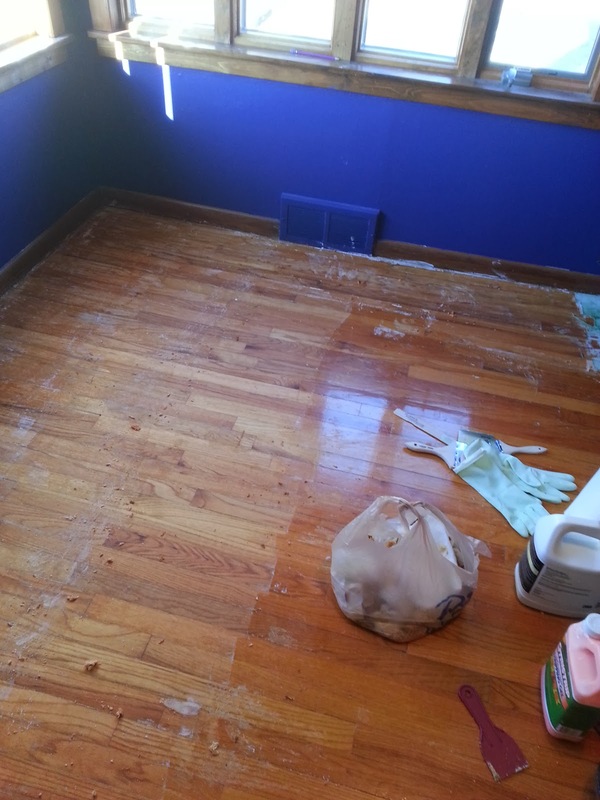 We applied it to the floor and surprisingly the finish scrapped right off. The next picture shows the difference between the first product and the winner. On the left is where we started with the Zinsser and then used 3M Safest Stripper and when that didn't work we finished up with Citristrip. In the middle where the wood looks healthiest is where we used just Citristrip. I love the results! I can't wait to see the finished product! I just know it will look amazing! Thank you! I can't wait to get back to work on it! We have quite a few farm meetings this week that we will be gone for.